Izaak Walton was born on 9th August, 1593 at St Mary, near Stafford, to Jervis Walton, of a yeoman family. His father, an innkeeper, died before Izaak was three and his mother re-married another innkeeper. Walton probably had some schooling in Stafford, but he then moved to London where he was apprenticed to a cloth merchant. In the 1610s he was a proprietor of an ironmonger's shop. His shop was in Fleet Street and his house in Chancery Lane. In 1618 he became a freeman of the Ironmonger's Company, eventually making himself prosperous through his own drapery business. In 1626 Walton married Rachel Floud; they had seven children who all died young. Rachel died in 1640. She was a relative of Archbishop Cranmer and Walton started to move in clerical circles. His second marriage was with Ann Ken in 1646 and they had a son and daughter who survived to adulthood. In 1655 he bought Halfhead Farm in Shallowford near Stafford, a cottage which now serves as a museum commemorating his life. Through his friendship with his local vicar, then John Donne, Walton became acquainted with Michael Drayton, Ben Jonson, Henry Wotton and other authors, and seems to have been accepted as a member of the current literary group. His first known published work was his memoir of Wotton, which was prefixed to a posthumous edition of his poems in 1640. 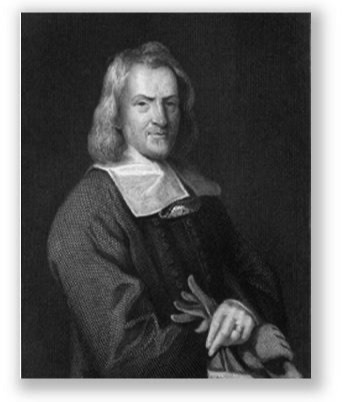 The work for which Walton is best known, The Compleat Angler, or the contemplative man's recreation first appeared in 1653, but he continued to revise and add to it until 1676. A classic guide to the joys of fishing with over three hundred new printings, it combines practical information about angling with folklore. The story of three friends, travelling through the English countryside, is enlivened by occasional songs, ballads, quotations from several writers, and glimpses of an idyllic and now lost rural life. After the death of his second wife, he retired, making his home for some years with George Morley, the Bishop of Winchester, but also spending long periods with his friend Charles Cotton fishing on the Dove river, on the boundary between Staffordshire and Derbyshire. He died at the age of ninety in Winchester, leaving provision in his will for the benefit of the poor of Stafford.